Dental sealants are a protective coating applied to the chewing surfaces of molars and premolars to prevent tooth decay. Because molars and premolars have what are known as “pits and fissures”, they are a common place to collect excess plaque and food particles. When excess plaque and food particles collect, they can cause the beginnings of tooth decay which may continue to escalate if not caught in time. Dental sealants prevent this from happening by filling in the pits and fissures of the molars and premolars to smooth out their surface and seal out the bacteria that causes tooth decay. Dental sealants can be clear, white, or slightly tinted to match the natural color of your teeth. They can also be made of glass ionomers, composite resins, resin-modified glass ionomers, or polyacid-modified resin. The difference with each type of dental sealant is in the way they adhere to the surface of your teeth. Glass ionomers undergo an acid-base reaction, composite resins undergo a polymerization reaction, and both resin-modified glass ionomers and polyacid-modified resins undergo a combination of these two reactions. By applying dental sealants to your teeth, you can prevent tooth decay and save hundreds of dollars on future restorative dental treatments such as fillings and dental crowns. You can also prevent the need for tooth extractions or the possibility of tooth loss. Am I candidate for dental sealants? Almost anyone can be a candidate for dental sealants because dental sealants are considered to be a preventative dental treatment. However, dental sealants are especially recommended for children around the age of 12 or individuals who may struggle with thoroughly brushing their molars. The reason dental sealants are recommended for children around the age of 12 is because this is the usual time when their molars will erupt. By applying a dental sealant to newly erupted molars, it protects them from decay immediately. While dental sealants can be applied for most individuals, they are not effective on dental restorations such as dental crowns or dental implants. To find out if you are an ideal candidate for dental sealants, schedule a consultation with Fedorciw, Massoumi & Kolbig today! Dental sealants work by filling the pits and fissures that naturally occur on the chewing surfaces of your molars and premolars. They also provide a protective barrier between your tooth and the bacteria that can cause tooth decay. Because of this, dental sealants can sometimes be applied to a tooth with early signs of decay instead of a traditional filling. Applying dental sealant to a tooth that is showing early signs of decay will prevent the decay from getting worse. For teeth with early decay, dental sealants offer a less expensive and less invasive treatment option. However, there still may be instances where a traditional filling will offer better results. 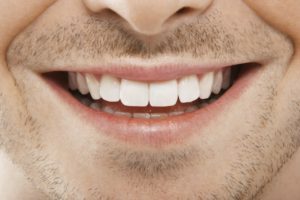 What can I expect when having a dental sealant applied at Fedorciw, Massoumi & Kolbig? Dental sealants can easily be applied without the use of dental anesthetics. First, your teeth will be thoroughly cleaned to remove any plaque or tartar from their surface. Cleaning your teeth is an essential part of the application process because plaque and tartar can contain bacteria that may cause tooth decay if left on your teeth for an extended period of time. Since dental sealants seal your teeth, any bacteria must first be removed from the surface of your teeth prior to applying the sealant. Once your teeth have been cleaned, an acidic gel will be brushed onto the chewing surface of your teeth to roughen up its surface. This is so that the dental sealant can better adhere to your teeth. The acidic gel will only be left in place for a few seconds, then your teeth will be rinsed. Next, your teeth will need to be dried completely to ensure the smooth application of the sealant. When your teeth are dry, the dental sealant will be brushed on the chewing surfaces of your molars and premolars. Depending on the type of dental sealant, it may then need to be hardened in place with a special curing light. 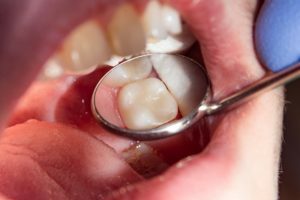 What should I expect after having a dental sealant applied? After your dental sealant is placed, you will be able to return your usual routine with no recovery time. The application process of dental sealants is non-invasive and should not cause you any pain after the procedure. Plus, since there is no need for dental anesthetics, you will not need to wait for your mouth to regain sensation before eating. Once your dental sealant is applied, it will not require any additional care outside of your usual dental routine. A good dental routine should consist of brushing twice daily for two minutes with a fluoridated toothpaste, flossing once a day, and visiting Fedorciw, Massoumi & Kolbig twice a year for your dental checkup and professional teeth cleaning. Are there any risks associated with dental sealants? 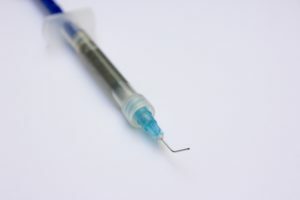 Dental sealants are considered to be extremely safe for the general population, and no adverse effects have ever been noted in dental literature. 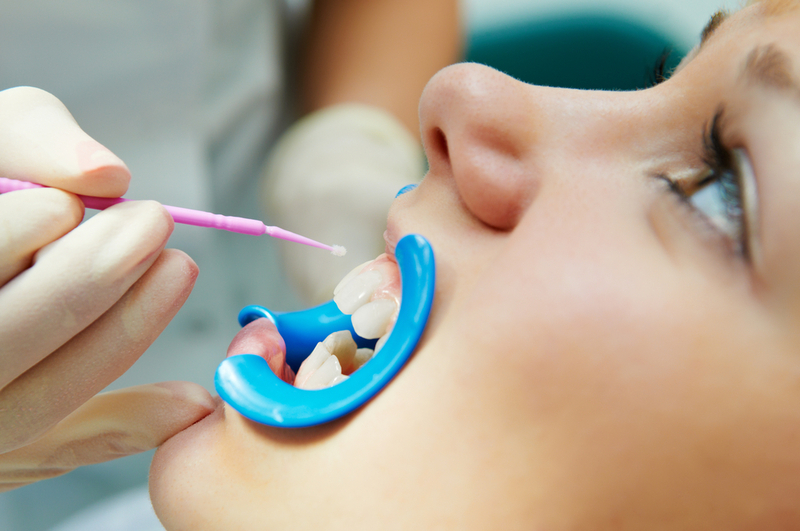 Although dental sealants have risks, like any other dental procedure, these risks are minimal. Once common risk of dental sealants is the possibility that bacteria can get sealed within the tooth during the application process and cause tooth decay to continue. Regular dental checkups minimize this risk and will allow our dentists to notice any signs of decay immediately. Another possible risk associated with dental sealants is the possibility they can chip, break, or wear down. If your dental sealant chips, breaks, or wears down, then there is a higher risk that bacteria can enter below the surface of the dental sealant and cause your tooth to decay. Again, regular dental checkups help to minimize this risk. Some variations of dental sealants do contain very tiny amounts of BPA. However, these amounts are so small that an average six year old child would have to be exposed to ten million times the amount of BPA found in dental sealants for the amount to even be considered hazardous. Because the amounts of BPA possibly found in dental sealants are so tiny, the American Dental Association and American Academy of Pediatric Dentistry still voice their support of dental sealants as being a safe choice for the prevention of tooth decay. Dental sealants offer the highest level of protection in the first two years after their initial application. During the first two years, dental sealants protect against 80% of cavities. From two to four years, this number drops to about 50%. After four years, dental sealants may or may not be as effective. For this reason, it is recommended to have your dental sealants applied again after four years. How much will dental sealants cost? Dental sealants are one of the most affordable dental treatments available. At only $30-$60 a tooth, dental sealants offer an affordable option to preventing tooth decay and the costly treatments associated with tooth decay. Plus, if you have dental insurance you are likely to get partial or full coverage for the application of dental sealants. This is because many dental insurance companies offer higher levels of coverage for preventative dental treatments than any other category of dental treatment. If you would like to experience the difference dental sealants can make for your smile, call our office today and schedule a consultation! Fedorciw, Massoumi & Kolbig are happy to serve patients in Cromwell, Middletown, Rocky Hill and other surrounding areas in Middlesex County (including Berlin).